LIMITED 3 UNITS AVAILABLE THIS WEEKEND. 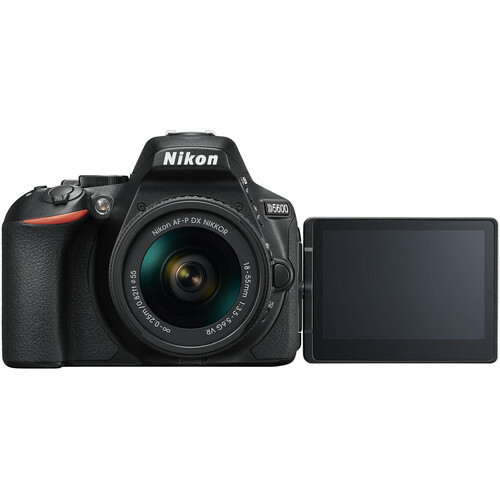 Compact, capable, and connected, the Nikon D5600 is a sleek DSLR that blends multimedia imaging capabilities with versatile wireless technology. 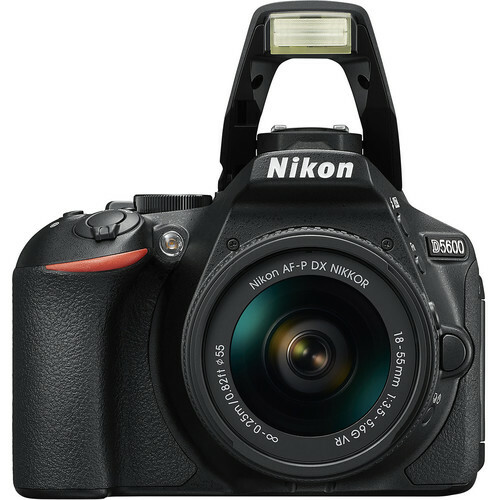 Centered around a 24.2MP DX-format CMOS sensor and EXPEED 4 image processor, the camera offers a sensitivity range from ISO 100-25600 to benefit working in an array of lighting conditions, and the sensor and processor combination also supports continuous shooting up to 5 fps for working with moving subjects. 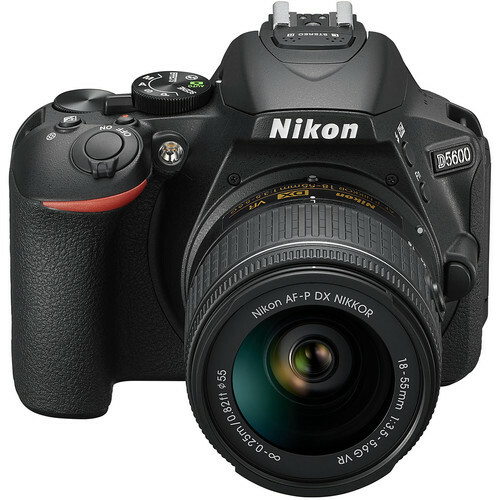 Full HD 1080p video recording is also supports up to 60 fps, and time-lapse movies can be created in-camera, too. 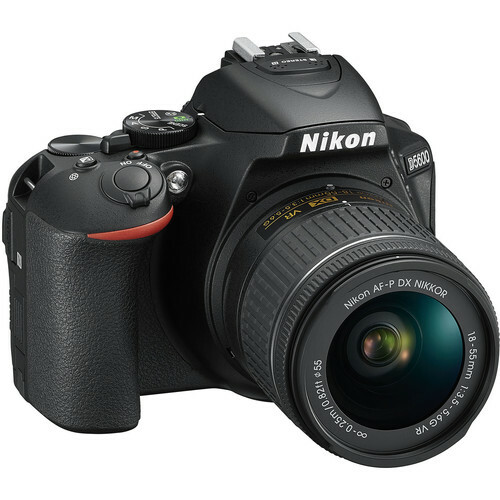 The 24.2 megapixel DX-format CMOS sensor and EXPEED 4 processor work together to produce overall high image quality with notable detail, dynamic range, color accuracy, and low-light sensitivity to ISO 25600. Additionally, the sensor's design omits an optical low-pass filter in order to acquire the greatest amount sharpness and detail from subjects. The EXPEED 4 processor also enables a wealth of speed throughout the camera system, including support for Full HD 1080p movie recording and a full-resolution continuous shooting rate of 5 fps. 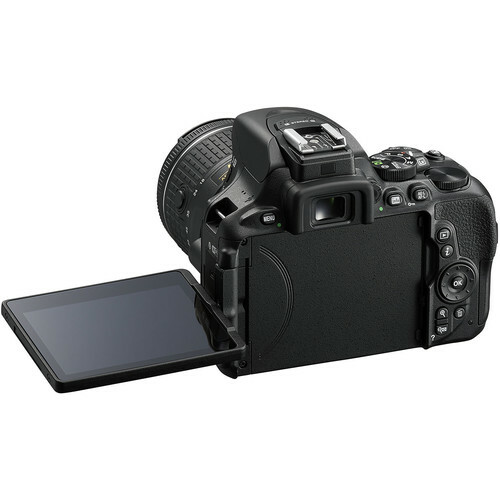 Supporting a wealth of sharing and tagging possibilities, the D5600 features built-in SnapBridge connectivity to permit seamless transferring of imagery to a mobile device. 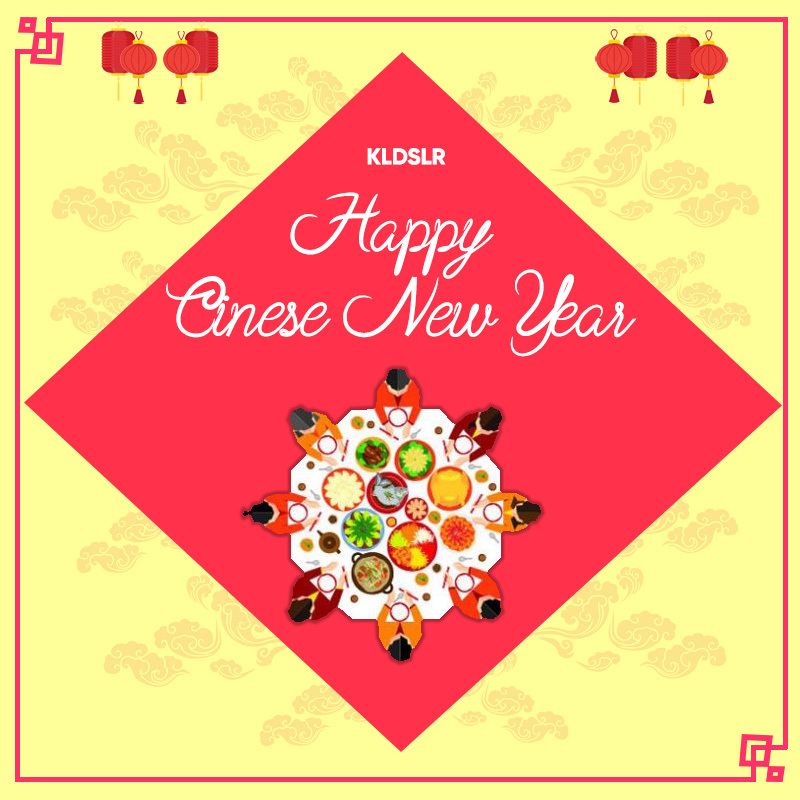 BLE (Bluetooth Low Energy) technology enables communication between the camera and a smart device, and allows for automatic low-resolution image transfers as you shoot. 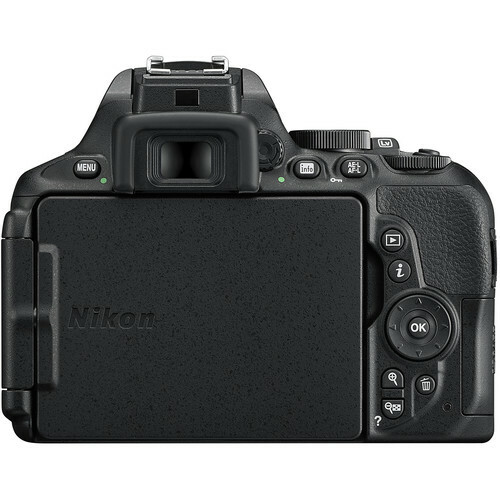 SnapBridge requires a one-time setup and also works in conjunction with Nikon Image Space for backing up files and sharing imagery, and can also tag transferred images with date, time, and location info for keeping track of your journey. 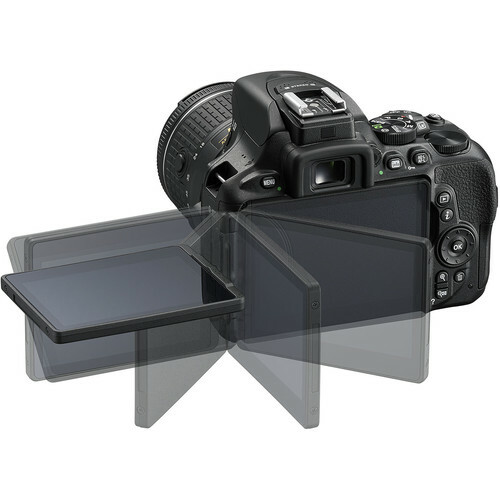 Additionally, once linked, the mobile device can remotely trigger the shutter and display a live view image from the camera to enable working from a distance. 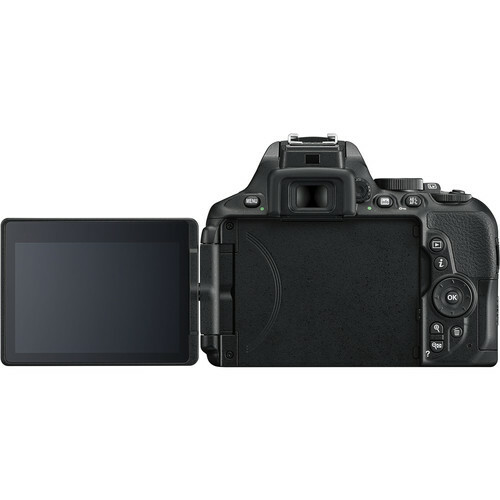 Rear 3.2" 1.04m-dot touchscreen LCD serves as an intuitive means for navigating settings menus and playback, as well as when shooting in live view. The screen also uses a vari-angle design to benefit working from high, low, and front-facing angles. 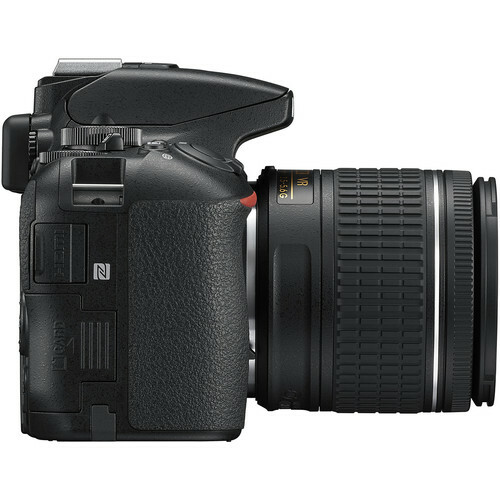 Included with the camera body is the standard zoom AF-P DX NIKKOR 18-55mm f/3.5-5.6G VR lens, which provides a 27-82.5mm equivalent focal length range. 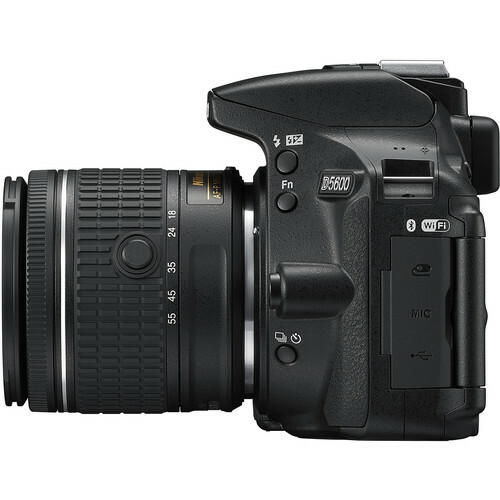 Featuring an integrated pulse stepping motor, this lens exhibits exceptionally smooth, fast, and quiet autofocus performance to suit both stills and video recording. The optical design incorporates a pair of aspherical elements and a Super Integrated Coating is also featured to suppress lens flare and ghosting. 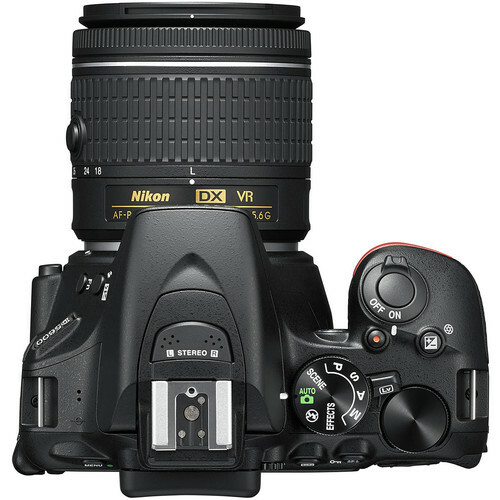 Additionally, this lens also features Vibration Reduction image stabilization to minimize the appearance of camera shake when shooting handheld.